An understanding of fundamental web concepts, such as HTML, CSS, HTTP requests, POST requests, etc. An understanding of basic LTI concepts and, in particular, the Basic LTI (v1.0) specifications. Ready to begin? No? Then grab some coffee or another refreshing beverage. We’ll wait. . .
Ready now? We hope so! Because we’re getting started. When I first encountered peoplesoft, I was woefully underwhelmed. Like something a newbie PHP person would have written 10 years prior. In fact, I’ve worked with dozens of similarly functioning sites over the years, so it honestly wasn’t a big deal. I think I first noticed it was a big deal when I got an email about a year ago from HR, saying they’d give bonuses to people who referred Java and PeopleSoft professionals. That got me to thinking PeopleSoft and Java developers were roughly equivalent. I noticed the positions for them were being posted at roughly the same grade. I didn’t think much of it beyond that. Recently I figured out what PeopleSoft development actually is. It’s not coding at all. It’s configuration management. Not too far removed from someone who can work in Drupal. I was floored. Not because there’s anything wrong with that, but because such a focus was being put on configuration over custom. I find this both refreshing and scary. I woke up the other night and couldn’t get back to sleep thinking about this. Was this the future of web development? Configuration management? Was web development eventually going to become 90% “PeopleSoft”? I’ve even been thinking it made sense because Welsey Crusher — while gifted — was not the kind of person I saw coding the woman in red in C. That would require a team of developers. Sure, maybe there’s some awesome libs in the future, but more likely programming in the future will be tantamount to drag and drop. 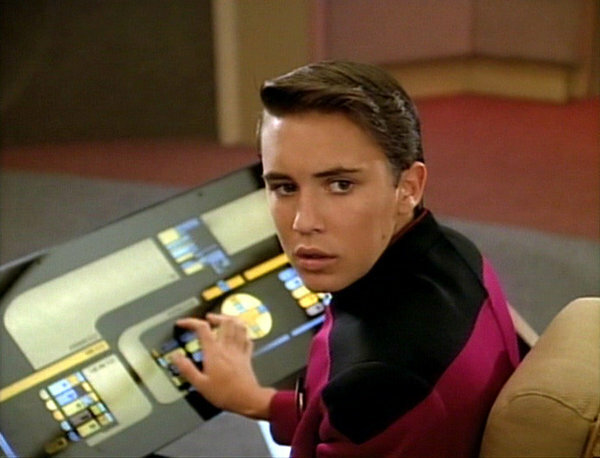 I mean, think about how they controlled the Holodeck, they were giving basic commands, parameters and values. Voice activated PeopleSoft. Eventually hardware will get better and better, and the bloat of PeopleSoft and like platforms will be less of an inhibitor. Eventually is a ways away though. Today, speed is paramount. Users demand immediate gratification, and that requires optimization. And PeopleSoft can’t meet user expectations in that way. So it just remains a corporate institution. Something people will put up with because that’s what’s been sold to them.